Blueye is offering people a cinematic experience of life beneath the surface of the sea by developing the world’s first ocean drone for consumers. This is a unique project for EGGS - one that we've immersed ourselves in completely. 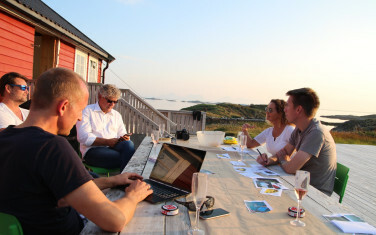 It’s led to us being on the board of directors, as well as collaborating in close-knit teams with Blueye's specialists. Here’s how the benefits of applying holistic design can help turn a startup company like Blueye into a world-renowned brand. 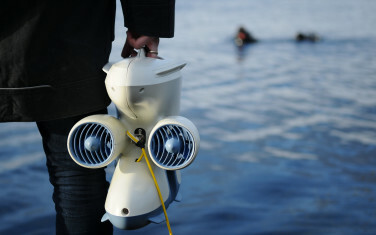 Beginning in 2015, EGGS was approached by Blueye to help with the industrial design of a new kind of product it was developing - a robust and portable ocean drone intended for both consumers and maritime experts. Evolving into PioneerOne, it serves as a digital diving mask, allowing anyone to freely explore the oceans hidden depths on either their smartphone or tablet via a fully functional user interface. People can then share high-quality videos of their underwater adventures online. For professional use, people can store data for documentation, mapping, or monitoring. Several Pioneer drones were manufactured for testing and further refinement. Amongst the organisations who have tried them out are Bellona, DNV-GL, and researchers in Svalbard. The goal for 2017 is to initially sell drones in Norway before the company expands its horizons abroad. Blueye truly cares about the ocean and is determined to help as many people as possible become more aware of its beauty, alongside the dangers it faces. With its drive to dive where no other drones have roamed before, it looks as though Blueye is on course to cause great ripples of excitement for all those intrigued by what lies beneath the surface of the sea! 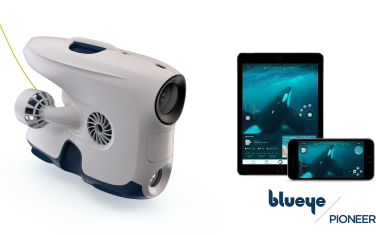 Having already started to take pre-orders, Blueye intends to officially launch PioneerTwo this coming spring.